Australia literally didn't give them any chance during the five-match ODI series. Defending world champions Australia hit back to form with a bang after many had started writing them off in the upcoming World Cup in England and Wales. After securing a thrilling 3-2 win over India in an away ODI series, the Kangaroos pummeled Pakistan by 5-0 in their very next series played in the UAE in March. Though the Men in Green rested a lot of frontline players for the series, yet the Aussies’ terrific return to form was by no means an insignificant feat. The Pakistan team management and selectors came under fire over the loss, especially because of resting the key players in the penultimate series ahead of the WC. 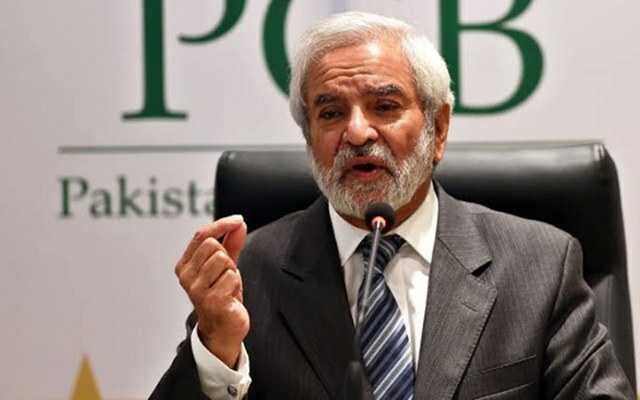 But the PCB chairman Ehsan Mani ruled out changes in either the selection committee or the management ahead of the mega event, even after the humiliating loss. This is the second time that Pakistan were whitewashed by Australia in an ODI series. “We will assess the performance of the selectors and management after the World Cup. The team management is just not the head coach. It is about all the other coaches and the support staff. Their performances will be reviewed after the World Cup, “Sportstar cited reports quoting Mani as saying. On Sunday, Australia made it 5-0 by securing a 20-run win over their Asian opponents in a high-scoring final ODI in Dubai. The Kangaroos’ skipper, Aaron Finch, who was struggling with his form midway into the India series, was adjudged the man of the series for scoring some big knocks. When asked whether he too was worried over the results against Australia, Ehsan Mani said the selectors and the management had all the reasons to rest six regular players in the series, including the regular skipper Sarfaraz Ahmed. Shoaib Malik and Imad Wasim led Pakistan in the series. “They have been playing non-stop cricket since September and we felt it would be best if the team went fresh to the World Cup,” Mani said. The selection committee, led by former Pakistan captain Inzamam-ul-Haq, also came under scrutiny over the resting of the players.